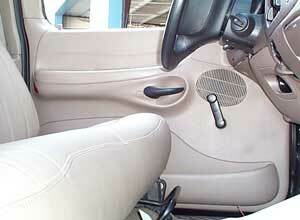 In order to install the power window kit, we must gain access to the doors interior. 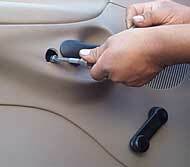 Step one in the process is to remove the door handle. 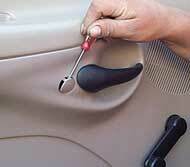 First, the mounting bolt for the door handle is removed. 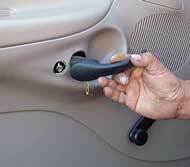 Next, the handle is removed from the door and the rod unclipped from it.